Google Plus has not been around long but already it has a made a huge impact on social media and search results. Google says the service already has over 100, 000, 000 users in under a year! One of the great things about Google+ is that it allows users to easily create friends and contacts lists and manage those lists in a useful and organize manner. 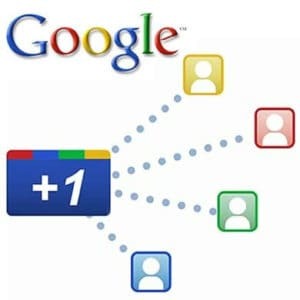 Google Plus (Plus.Google.com) is a new tool in a business’ social media arsenal. But it is much more than that – it can directly impact Google search results. This is another reason why getting on Google Plus is so important. One of the problems with combining Facebook or LinkedIn with Twitter or other instant messaging system is the overload of tagging or constantly being added to groups that you do not wish to join. Google Plus eliminates this problem via the creation of “circles”. These circles can overlap, be updated whenever you wish, they protect against the invasion of privacy, and can help you target specific types of customers. 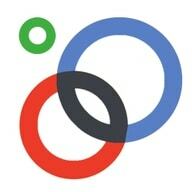 A Google Plus circle is an identifier of a group that you create and manage yourself. You can add contacts to one or more of these circles. They are visible only to you, not the general public or even your network friends. Google Plus includes a program that scans email and smart phone contacts, suggests addresses that may be of interest to you, but adds these contacts to your circles only if you agree. 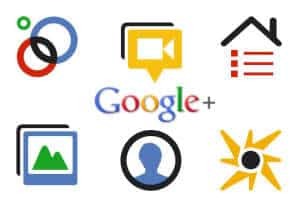 As for being a business tool, Google Plus can be used to add contacts for the purpose of promotions, sales, or to send information that might be valuable to the recipient or one of his or her friends. And if you want to follow other people, “encircling” people is easy via the Google Plus search feature. Google+ is a great way to network and build connections with people, whether they are business contacts or current or potential customers. Posting company information to a specific population is key when using Google Plus. The last thing you want is for information to be spread to those who are not interested in what you have to offer. This is why you will want to create business circles that are specific to a certain product or service, and include only those who have purchased, are planning to purchase, or have responded to a previous promotion. One circle can contain all of your customers who have purchased similar items. Another circle can include all of those who have inquired about a particular product or service. Information sent to these contacts can have anything to do with the business or a certain product or service offered. This is far better than public posting, because you already know who is receiving the information you send. The Google +1 button is similar to the Facebook “Like” or “Recommend” button. It always looks good if you leave a favorable +1 when any contact in your circle posts a comment. It shows them that you are paying attention and that their comment is important and meaningful to you. This positive feedback can greatly increase the probability that this person will respond at a future date. Much like a conference call, Google Plus Hangout allows you to set up a limited audience meeting for promotional or business purposes. This could be the announcement of a sale price, the introduction of a new product, or a special giveaway or raffle. If the business has received a number of queries regarding prices, shipping, returns, refunds or product quality. Hangouts can be an excellent tool for addressing the issue with a group of people. It also creates a feeling of company responsibility with the customer and builds community within the company when you all can’t be in the same place. Making Google Plus work as an effective marketing tool may take some practice, but there is plenty of help available. Internet marketing professionals can help you gain a better understanding of how to best utilize this powerful tool for your business. Social media is playing an increasing role in search rankings and the two are becoming more closely aligned as an overall Internet marketing strategy for online success. AscentInternet.com contributed this article. Their Internet marketing services in St. George, Utah can help you incorporate social media as an important component of online marketing.